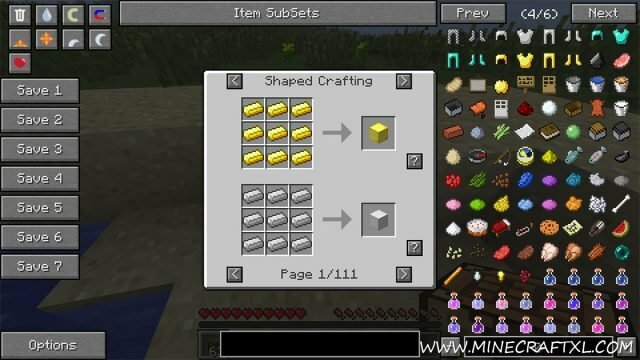 Similar to the Too Many Items Mod, the Not Enough Items Mod (NEI) is a mod that adds an in-game inventory editor, allowing you to quickly and easily spawn items, blocks, mobs and everything else in the game, in whatever game mode you like. It is very helpful when you are about to build large structures, as it saves you all the time it would otherwise take to gather materials. So if you dislike that part of the game, but still want to build huge structures and let your creativity flow, this is a perfect mod for you. To access the features of the mod, simply press your inventory key when in-game (“i” is default). From here you can also change the time of the day, heal yourself, change gamemode, turn magnet mode on or off and turn delete mode on or off (deletes whatever you click on in your inventory). You can also access the other options of the mod from here, view or change keybindings, access commands and more. 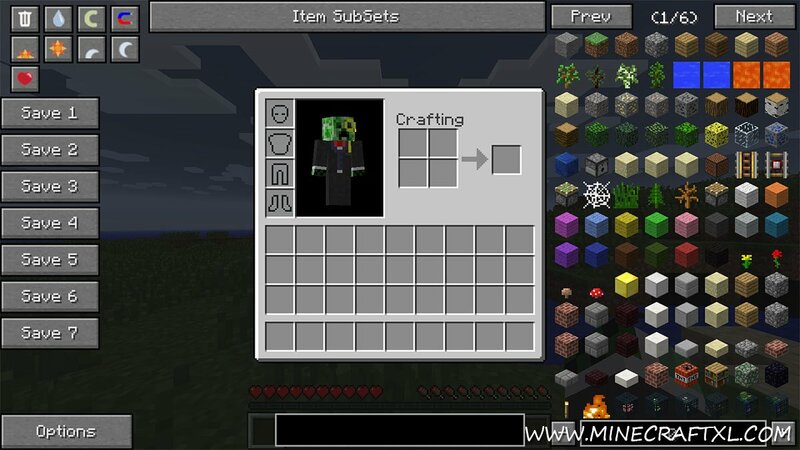 While Minecraft Forge is not required, if it is not installed you won’t be able to see mobs in mobspawner items. No need to relog when changing OP state. Better shift click, armour, etc. Fixed bug with double clicking C+ button. 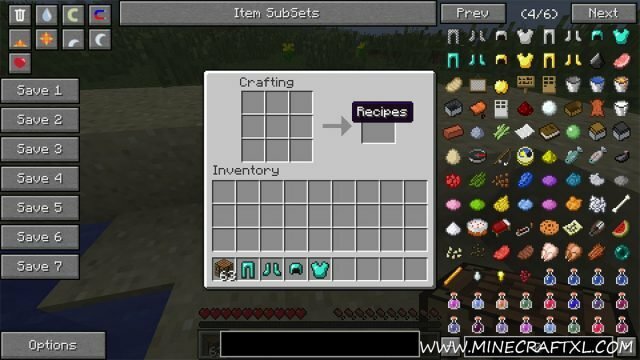 Download the CodeChickenCore and Not Enough Items mods. Download and install Minecraft Forge if you do not already have it. Place the CodeChickenCore jar file into the mods folder. Place the Not Enough Items jar file into the mods folder. Enjoy your new enhanced inventory screen!